LOCKPORT, IL--(Marketwired - Oct 10, 2013) - Vinitha Kunchala, MD, a family medicine physician, is the newest doctor to join Presence Medical Group's Lockport office. Dr. Kunchala is fluent in English, Telugu and Hindi. She is on the medical staff of Presence Saint Joseph Medical Center and her office is located at 703 East 9th Street, Lockport, Illinois. She can be reached at 815.838.0694. Dr. Kunchala earned her medical degree at Gandhi Medical College in Hyderabad, India. Her clinical interests include women's health, menstrual and menopausal issues, obesity and hypertension. "I am blessed to be in family medicine, where I have the opportunity to treat the whole family. I believe in preventive medicine and educating patients about healthy lifestyles," said Dr. Kunchala. 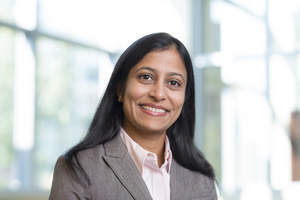 Dr. Kunchala's office hours are Monday from 8:30am-5pm, Tuesday from 7:30am-5pm, Wednesday from 8:30-7pm, Thursday from 8:30am-5pm and Friday from 7:30am-5pm. Her staff is also fluent in Spanish. 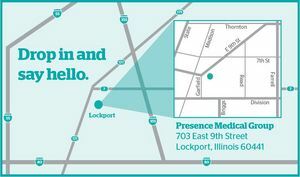 Patients can call 815.838.0694 to schedule an appointment or visit presencehealth.org/doctorkunchala for more information. About Presence Medical Group: A physician-led and patient-focused medical group representing a broad spectrum of primary and specialty care, Presence Medical Group provides accessible, quality care throughout the state of Illinois. Presence Medical Group is part of Presence Health, created by the merger of Provena Health and Resurrection Health Care. To find a Presence Medical Group physician near you, call 855-737-DOCS, (855) 737-3627. For your convenience, Dr. Kunchala offers extended hours to fit your busy schedule.